I recently attended a meeting where guests deliver a thirty-second commercial about what they do. I shared with the audience that after twelve years of practicing law, I’ve dedicated myself to keynote speaking and writing to fulfill my purpose of carrying my father’s legacy. An older man stood up when it was his turn and said “My name is Mario and I, too, am carrying a legacy.” He then spoke about his roofing company. At the end of the meeting, I walked passed the main entrance of the meeting room and bumped into Mario. “Is it your dad’s legacy?” I figured maybe his dad or grandpa previously owned his roofing company. At twenty-six, Mario’s son died when a drunk driver crashed into him. He left behind a roofing company he’d proudly created on his own. Because Mario’s son loved being a roofer, Mario decided to do whatever it took to keep that business alive. For a while he tried juggling his own company and his son’s, but soon realized he couldn’t continue doing both. Mario shut down his existing company to focus on growing the company his son had poured his heart into. 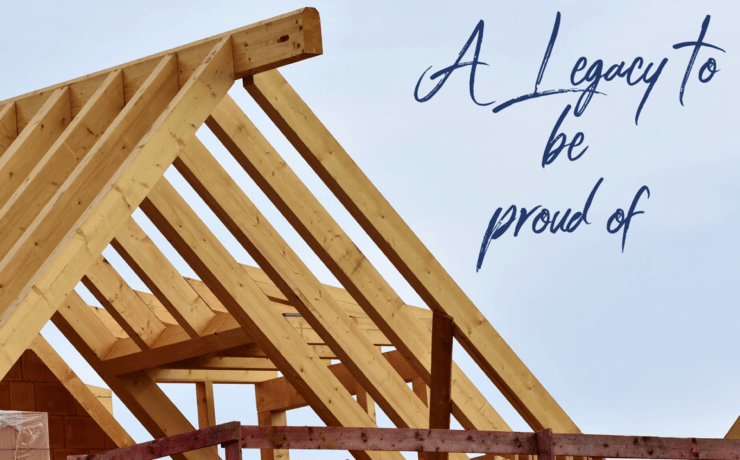 He became a roofer and now manages the business with pride, knowing he is doing it in his son’s memory. Mario touched my soul. He serves as an example for all of us that regardless of the pain we endure, we always have a choice. We have the choice to get lost in our suffering, or put our pain to work somehow. We have the choice to forget the ones we lost, or to honor their memory and keep their spirit alive. We have the choice to stop functioning, or to carry on with purpose, love, and resilience. Mario’s son died too soon, but his dad made it his business to carry his legacy. Now that is purpose-driven work! Mario found a way for his son to be there even when he’s not. WOW. it is always so refreshing to my soul to read your blog. We absolutely have a choice to either swim or drown despite the circumstances. Keep writing! !